The enigmatic Victoria Grizzlies followed up a 10-6 B.C. 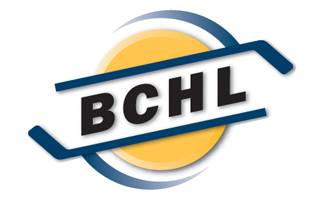 Hockey League victory at home over the Coquitlam Express with a 6-1 loss Sunday afternoon against the West Kelowna Warriors at The Q Centre. Defenceman Carter Berger scored Victoria’s goal against the Warriors, on the Grizzlies’ 40th shot of the game, with two minutes and 45 seconds remaining to ruin first-star Brock Baier’s shutout attempt. Kyle Dumba made 31 saves for the Grizzlies. Chase Dubois scored twice for West Kelowna (18-13-1). What made the result even more baffling is that the Warriors beat Island Division-leading Victoria after losing 4-1 the night before in Duncan against the Island Division co-trailing Cowichan Valley Capitals (8-17-5). The Grizzlies (20-10-1) continue their home stand with games Friday and Saturday at The Q Centre against the Cowichan Valley Capitals and Salmon Arm Silverbacks. But as head coach and GM Craig Didmon looks for that elusive consistency his team has been lacking at times this season, he will do so with a depleted roster. 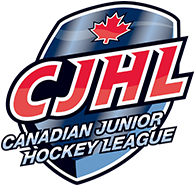 BCHL scoring-leader and projected first-round 2019 NHL draft prospect Alex Newhook, 2018 New York Rangers draft-pick Riley Hughes, NHL draft-prospect Alex Campbell and defencemen Berger and Jeremie Bucheler are in the Team Canada West selection camp this week in Calgary for the 2018 World Junior A Challenge coming up this month in Bonnyville, Alta., which will also feature Team Canada East, Russia, Czech Republic and the U.S.
To make matters worse, in terms of missing players, Grizzlies forward Cam Thompson is also out because of concussion protocol following a hit absorbed in Friday’s game against Coquitlam.